In a blog post published back in June, we shared the stories of a few unfortunate people who were fired from their jobs or passed over for a job promotion because of over-sharing on social networks. If you are looking for a job and wonder why you are not getting a call back, it could be because of what’s on your Facebook, Twitter, and Google+ profiles. 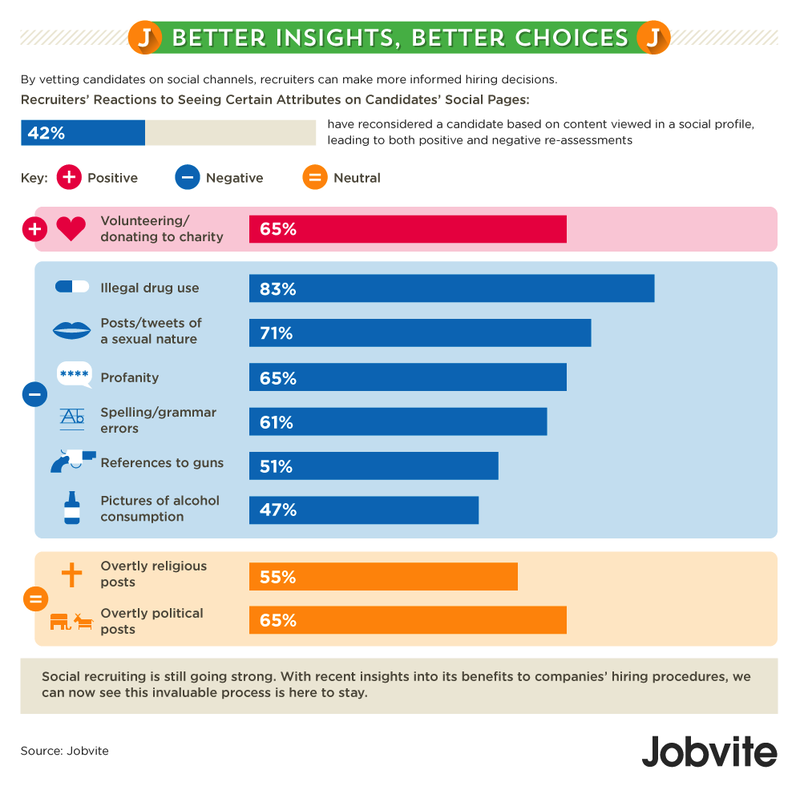 A new survey from Jobvite says that more than 90% of HR managers and recruiters report reviewing job candidates’ social profiles during the hiring process. Facebook, Twitter, and LinkedIn are still the recruiters social networks of choice – but they are also looking through blogs, YouTube channels, Yammer, Instagram and other networks to source talent. Based on what they find, 42% of companies said they reconsidered hiring candidates. Posts related to illegal drug use and those of a sexual nature met with universal disapproval. Profanity, and grammar and punctuation errors in posts and tweets trigger negative reactions among recruiters over 60% of the time. On the other hand, posts which share your volunteering gigs or donations to charity give recruiters a positive feeling about hiring you. Read our tips on giving your social profiles a makeover during job hunting time.